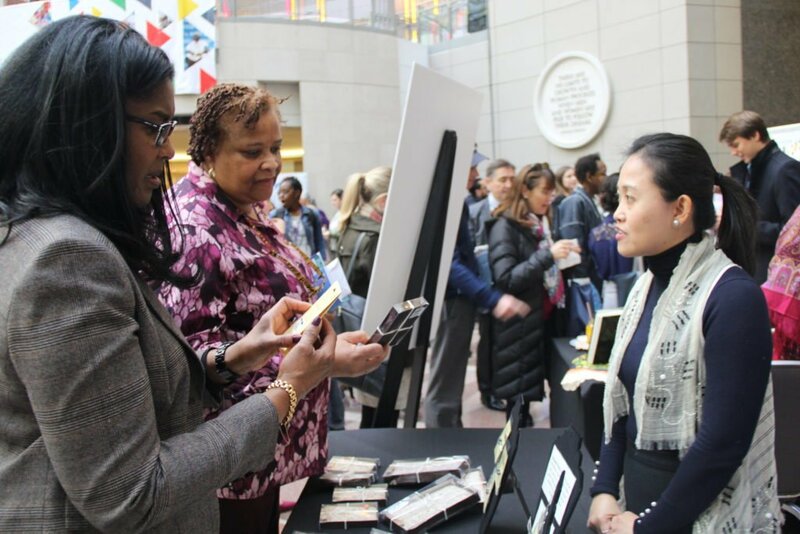 WASHINGTON, DC – For the fourth year in a row, the Philippine Embassy joined 38 other foreign diplomatic missions here for the 6th Annual Embassy Showcase Winternational held at the Ronald Reagan Building and International Trade Center on December 6. This year, the Philippines showcased purses and wallets made from “Manila Hemp” or abaca fibers, and freshwater pearl earrings. Abaca is a burlap-styled textile made of sturdy banana tree fibers that are milled from Abaca plant, while freshwater pearls are formed in various species of freshwater mussels. 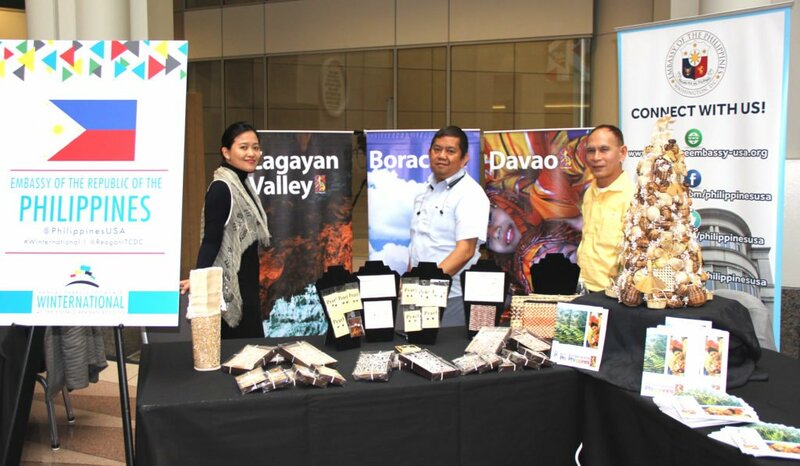 All products were brought to the US capital all the way from the Philippines. “We are happy to join this occasion that serves as a venue to strengthen diplomatic relations, and at the same time foster camaraderie and learning through immersion in various cultures of all the participants,” said Philippine Ambassador to the United States Jose Manuel G. Romualdez. Winternational is a celebration showcasing the cultural and culinary traditions of Washington’s diplomatic community. The Embassy’s participation this year is a cultural and economic diplomacy project done in partnership with the Philippine Trade and Investment Center-Washington DC.